Yes, the famous shot in Haiti! 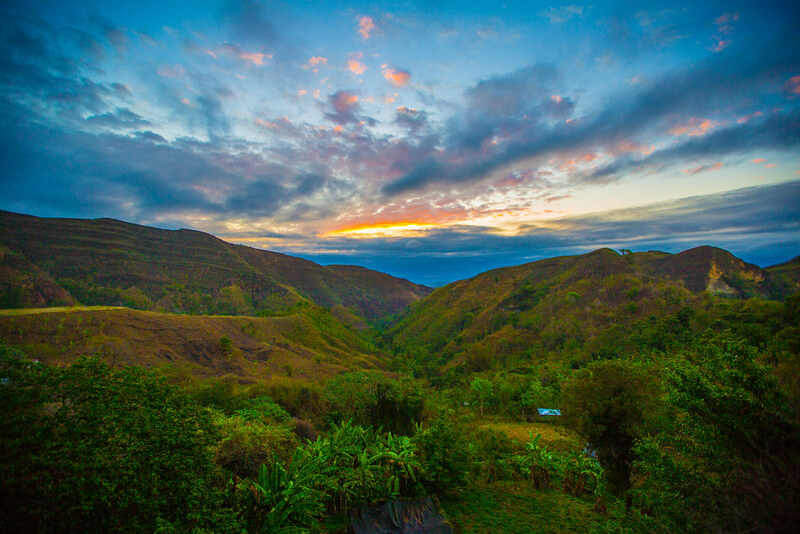 We get lots of questions about this amazing shot we captured in Cange, Haiti. That shot was a major portion of our planning for the Cange Municipal Water Project story we created in partnership with Clemson University’s College of Engineering, Computing, and Applied Sciences. Many people have asked how we captured this shot, and yes there was a drone involved and it was hard to pull off. I am sure there are many drone ninja operators out there that would laugh over this explanation, but it was a tough shot to get. Basically we had only thirty minutes to capture that shot each day during sunrise. It took us three days to finally get the right shot and the right moment. We were using the sun rise coming up from over the opposing mountain to light the room, specifically to supplement the battery powered LED lights we had in the room. We could not depend on the AC power in Haiti to power lights It was sketchy that week and the the amount of light needed to fill the room had to somewhat match the background surrounding the building, revealing at the end of the shot. You can see in the above image the in reverse view from the porch and how the sun creeps over the mountains. We had to capture the shot at first light before the sun actually emerged over the mountain top. Once it pops over the mountains, it is too harsh and matching the background of the building an inside the room was not possible. This was tough because it was a tight fit from the door, through the over hang and railing and out to reveal the building. The building was concrete throwing off the GPS navigation, which helps us hold the drone steady. We also had to capture the shot somewhat blind because we physically had to be removed from the porch. This is because we did not want to be captured in the video operating the drone. But, we needed to watch the drone pull backwards from the door, through the small opening on the porch, and out over the mountain. Mark was flying the drone and I was spotting, telling him if his movement was going to clear the opening. Also…we had to position the drone to hover when he was getting out of the bed in a way it did not cast a shadow on the wall, then we could pull backwards out through the building. There was a small shadow cast on the wall from the drone that we ended up removing in post. We were very intentional not to use any other drone shots in this piece because we did not want to portray that we were using a drone because we could. We only use drone shots in these types of video narratives only if it calls for the shot and the appropriate movement to reveal a portion of the narrative. This was the first big piece we produced for the Dean of Engineering, so we had to prove we could travel to another country and come back with something that would wow all leadership at Clemson. After our first scouting trip, I re-wrote the narrative to have this opening reveal shot to make a huge statement; we are not in Clemson producing a set of branded Clemson landscapes…we were in another country showcasing a story of a Clemson engineer country solving world problems. During our initial our scouting trip to Haiti, we took a larger drone to capture pre-production shots and planning content. We realized that going through their airport and immigration process, large cases that look like camera gear attracted LOTS of attention. We needed to get out the airport quickly, out of Port-Au-Prince quickly, and on a long bus ride up to the top of the mountain. So where we returned for the actual production, we packed light with very portable cameras, portable gimbals, lots of batteries, and a portable drone. We used the DJI Mavic Pro for this shot. It captured a great 4K image with enough bit depth to color grade into our 1080p project. Here is the final video project, we hope you enjoy the narrative!